CNT involves working closely and deeply on the abdominal region, also known as the ‘hara’. Chi Nei Tsang (CNT) is a holistic therapy that has its origins in traditional Taoist Chinese Medicine. It came into being millennia ago in the mountain ranges of Taoist China. It was developed by monks to help detoxify, strengthen and refine their bodies in order to maintain the high energy required to perform the highest levels of spiritual practices. Dr Bernadette Carelse has been trained in CNT since 2000. She incorporates Yoga, Chi-Kung, Tai Chi and mindfulness practices into her work. She provides CNT to those living or working in East London, particulalry in the London Boroughs of Hackney and Waltham Forest. Click here for information on treatments, including costs, what to wear on the day and expect from the session. Mantak Chia has been the main teacher in bringing Taoist practices into western awareness and has written dozens of books, including a few on CHi Nei Tsang. Dr Carelse’s training was originally through Kris Deva North at the London Healing Tao Centre and Grand Master Mantak Chia, one of Kris’ teachers. Master Chia has trained thousands in Taoist pracices, founded the Tao Gardens and Universal Healing Tao Centre that includes further information and training on CNT. CNT sessions involved working mainly on the abdomen with deep, soft and gentle touches, to train internal organs to work more efficiently. This process tranforms and harmonises the energy of the heart, small intestine, lungs, large intestine, liver, gall bladder, spleen/ pancreas, stomach, kidneys and bladder. Through this manipulation and energy exchange, unprocessed emotions may addressed, the body detoxified and excess stagnation removed and elimination improved. CNT can bring health and well-being across various aspects of being – physical, mental, emotional and spiritual. By using Tai Chi, Chi-Kung and Shiatsu techniques, Chi may be moved, circulated, transformed and cultivated. CNT may also strengthen the immune system and stimulate the lymphatic and circulatory systems. It may help restructure and strengthen the body by realigning the energy centres and positioning of muscles, viscera and internal organs. CHi Nei Tsang has been taught by the London Healing Tao Centre for over 20 years. Other benefits include stimulating the internal organs to improve their functioning. The process may involve releasing deep, internal tension in the abdominal region and thereby improve the movements of the breath and relax the nervous system overall. CNT may also help address pain arising from structural misalignment, related to the back, neck and shoulder, abdomen and hips. The therapy sessions include making recommendations and teaching Taoist pracices that are to be practiced at home to enhance health and well-being. 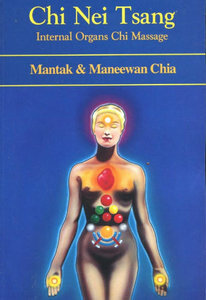 This may include advice on diet and life style, self-massage techniques and yoga or Chi Gung practices. This is to enhance the benefits of the treatment. For more information about training in Chi Nei Tsang, contact the London Healing Tao Centre.